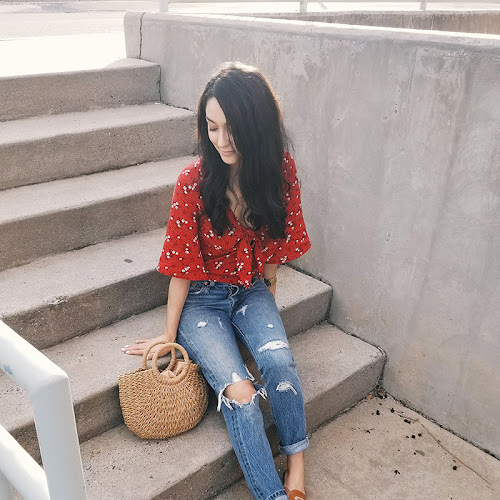 When I don’t know what to wear I’ll sometimes peek into my boyfriend’s closet and see what I could incorporate into my outfits. Whether it’s just a beanie or a button up shirt, I love the challenge of creating a feminine look around that one piece. This time I picked a dark green button up. 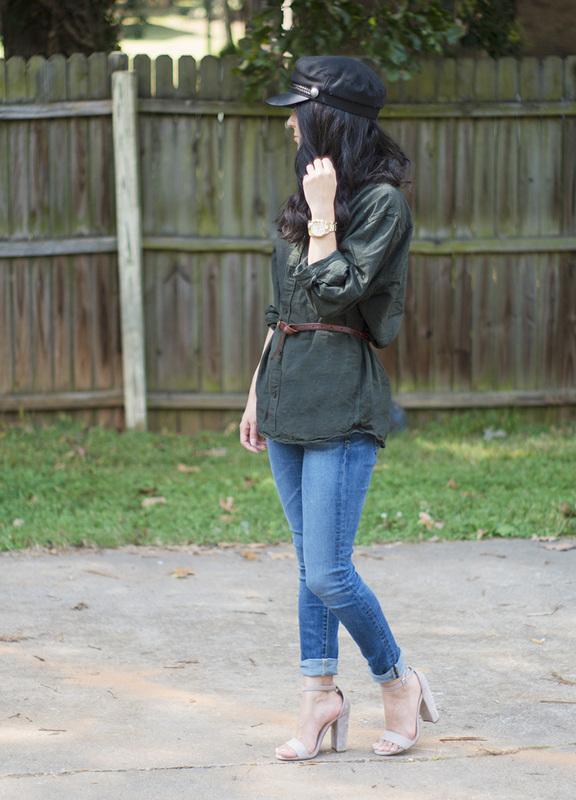 The fit is perfectly over-sized so I rolled up the sleeves and tied a belt around my waist to bring back some shape. 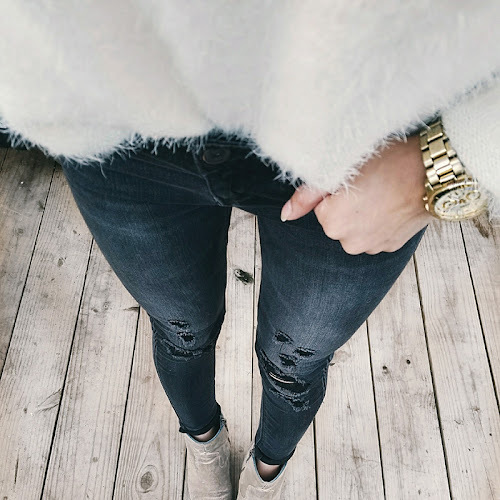 I paired it with a pair of super skinny jeans to bring some balance to the overall look. 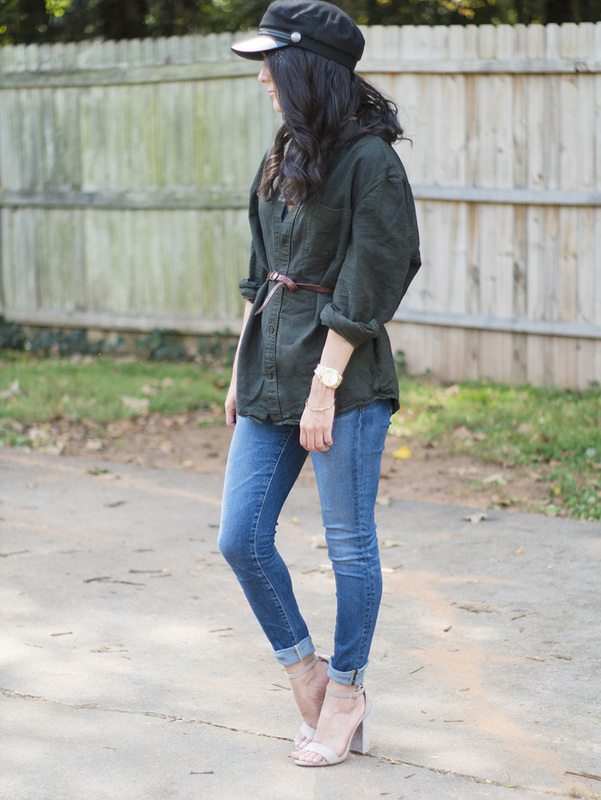 The heels are key to this outfit because they add that girly touch. And just for fun and because I’m obsessed I also threw on my baker boy hat. That’s not the only thing I love to borrow from the boys. 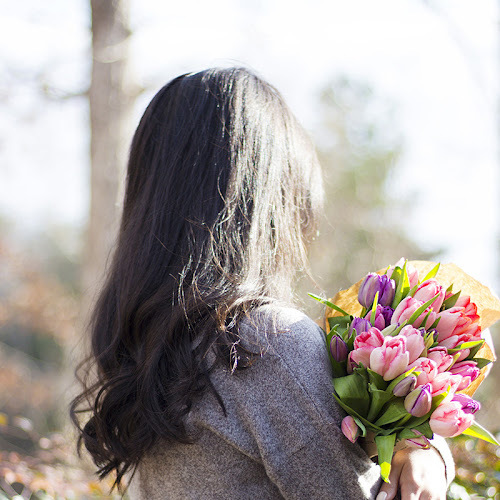 If you haven’t already noticed, a lot of items that are marketed for women cost more. Pink tax is real, look it up. That’s why I love shopping in the men’s section for certain personal care items like deodorant or razors. So when Harry’s sent me their Winston set to try out I was super excited. My boyfriend has already been using their razors for a few months now and he had convinced me to give them a try. So as soon as I ran out of my usual brand I was going to go buy one. The timing couldn't have been more perfect - thank you Harry's! 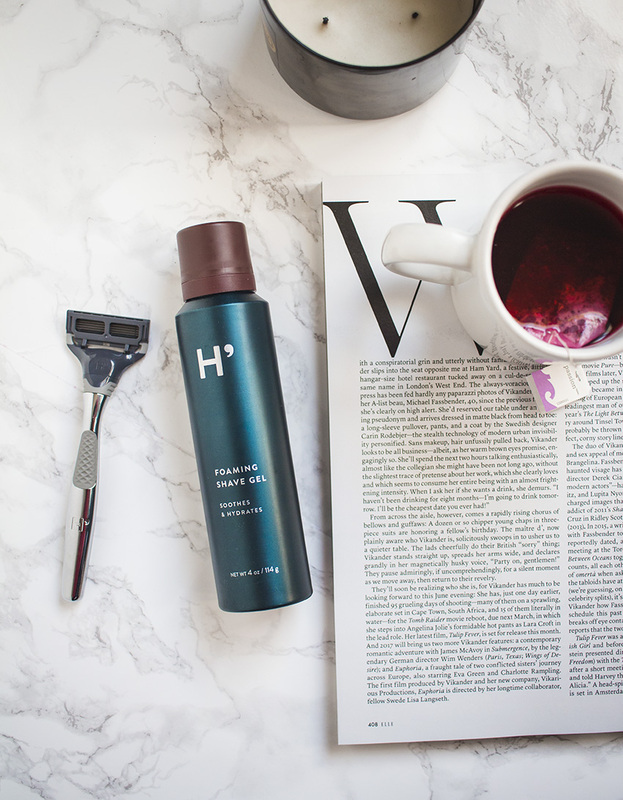 Keep reading until the end to learn how you can try one of their razors for free! I received the Winston set which comes with a beautiful Winston handle, foaming shave gel, 3 blade cartridges, and a travel cover all for only $25. That is an amazing deal if you ask me! If you prefer a colorful handle they also have the Truman set for only $15 which you can find here. What I love about Harry’s razors is that they’re much cheaper than most razor brands yet they don’t compromise on quality or design. I don’t need my razors to be cute or girly as long as they work well but being beautifully designed is a plus! But the major selling point for me is that I can buy a 4 count of blades for only $8 compared to around $15 from the brand I used to use! PS -You can even find Harry's at Target. 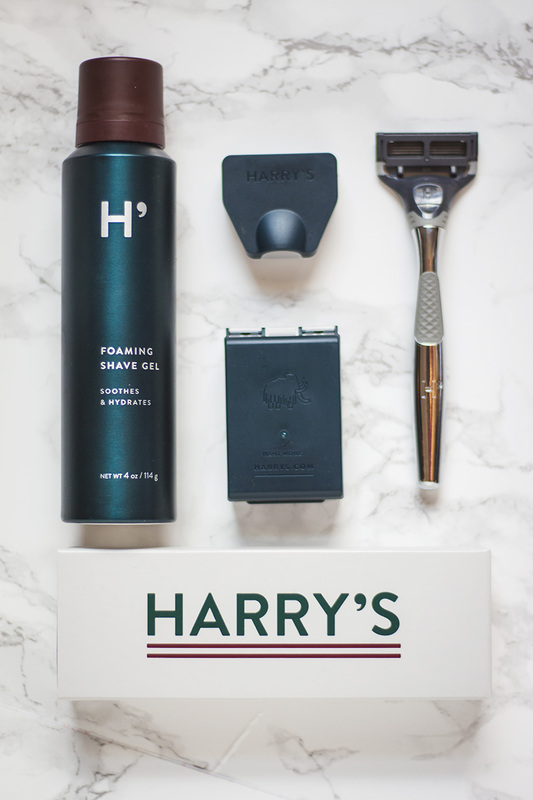 So next time you're in there stocking up on essentials you can also grab a Harry's razor for yourself or your boyfriend for just under $10! Love this collab! I work at Target and always think, "I should buy that for my boyfriend." Never have I thought that I should buy it for myself! Great idea! This is such a great idea dear. I should try this as well for an OOTD. ha!